Steal the spotlight wearing the high waisted satin palazzo trousers designed by Billie Faiers! 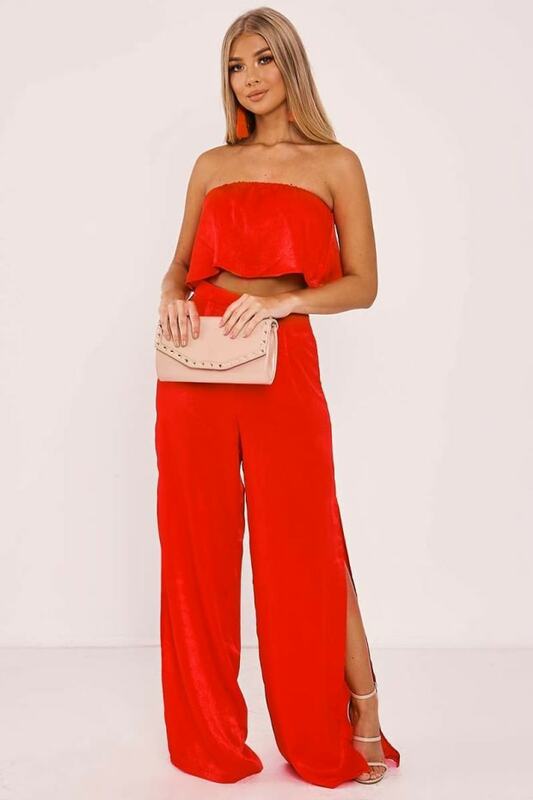 In a silky red fabric with a palazzo leg and show-stopping splits, these trousers will be your hottest staple piece! Make an entrance by styling with Billie's navy satin palazzo top and navy tassel earrings.